You never know what you are going to get when walking into a new job…this is especially true when coming in as the leader of Technical Support. The interview process more than likely covers how fabulous the team is, how "mature" and "dependable" the product is and – most importantly, from my perspective – how many "satisfied" customers the company already has in its portfolio of logos. Almost inevitably, there’s a small piece of you that knows, and is waiting for those few surprises as you learn the ropes of the new position. And usually, your instinct proves to be right and those fears are quickly realized so you quickly brace yourself for "other" surprises. Not the case with Avatier. Several months into my time here, I’m more than pleasantly surprised at the truthfulness of the picture painted by our CEO and my new team members. We really do have an awesome team with a mature and dependable product used by an extensive customer base having 97% renewals. Avatier walks-the-walk with its core values by placing the user experience before technology. So, that begs a somewhat obvious question of my role within Avatier. I’m here to plant the seeds for the continued satisfaction of our customers; to advocate and to intensify their voices and ensure we deliver on their feedback. I’m also here to focus our enthusiasm for customer success through self-service and to help them turn it into deliverable benefits. To me, that means listening to our customers to better understand their problems before building the solution. It also means working with customers to improve business functions, from deploying our newly released web single sign-on solution, to our customer-facing portals that are secure and seamless for end users – and most of all empowering our customers to help themselves. 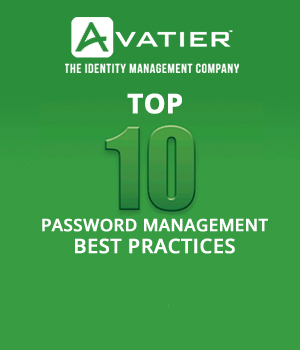 That’s why on behalf of our worldwide Technical Support Organization, I am proud to announce the release of the Avatier identity management Support Wiki. As a natural extension of self-service and user-centric values, the Avatier Support Wiki offers a real time resource and repository for resolving technical issues, optimizing your AIMS environment, and training. Avatier customers with current maintenance can request access by completing our online form. Of course, our identity management Support Wiki is just one way for us to empower customers. We recognize we are partners in this journey and we want to extend our dialog. Aside from the obvious of what are we doing well? What can we do better? And, how are we doing? We are interested in listening to your feedback. Speaking of topics never discussed in an interview, we are also announcing a change to our blog. Looking ahead, I am now a regular contributor to the Avatier blog. As we add topics with a customer product focus, I plan to write on topics related to AIMS best practices, performance enhancements, and receiving full value from your investment. I am open to topics related to our all topics and our solutions. I hope to hear from you on points of interest and I look forward to our dialog. 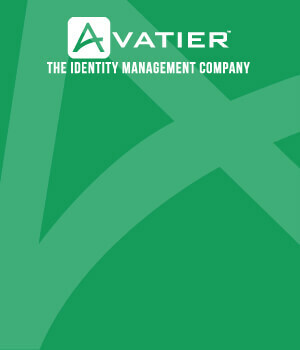 Feel free to reach out to me directly at rogerm@avatier.com.